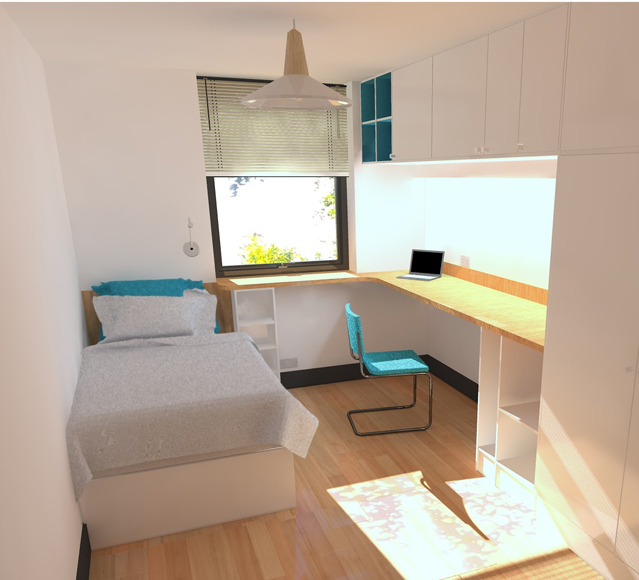 This project was a concept design entry for modern apartments that could be flexible between Private Rental Sector and Student Accommodation. Bailey Partnership were commissioned to provide concept design for the regeneration of an existing site within Englefield Green, Surrey to improve Runnymede’s business case for future PRS income. Our developed scheme consisted of an apartment block, designed as a series of townhouses to ensure its setting within the local residential area. 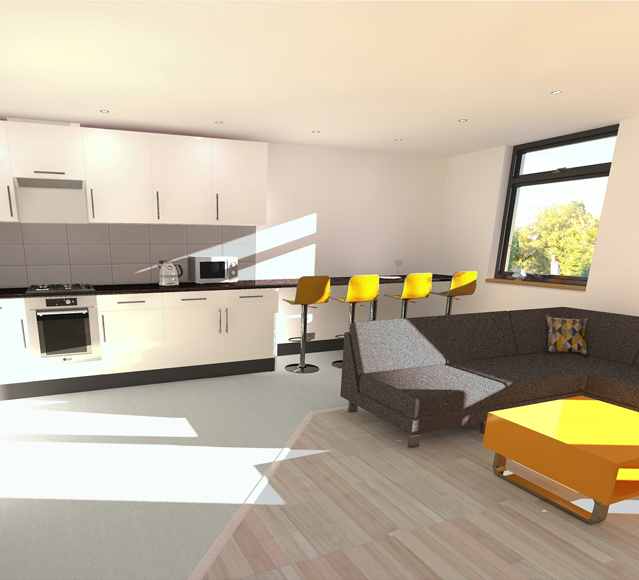 The scheme had a remote energy centre and was of a passive design- having flexibility designed into its form to allow for it to be easily converted to student cluster flats, further improving the local councils business case.